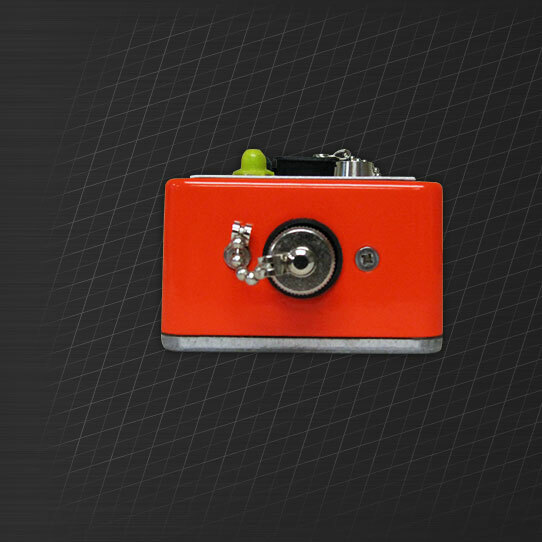 The HandiTrap II™ VOD Recorder is a small and compact unit that is self-contained and ruggedized for field use. The unit is very easy to use in the field as there is not computer required to setup the unit. The user just needs to run the sensor (either VOD PROBECABLE-HT or VOD PROBEROD), attach the sensor to a spool of coax (to ensure recorder is away from the pattern), turn it on, press Start and walk away. The unit will trigger on the blast and record the VOD of the explosive. The user can take the unit back and download the data in a field computer or in the office. The HandiTrap II™ VOD Recorder has the DAS™ Data Acquisition Suite Standard Edition software package is provided with each unit. This software suite will allow the user to download the data file from the unit, analyze the data and save graphs. For more information on DAS™ Data Acquisition Suite, click here. 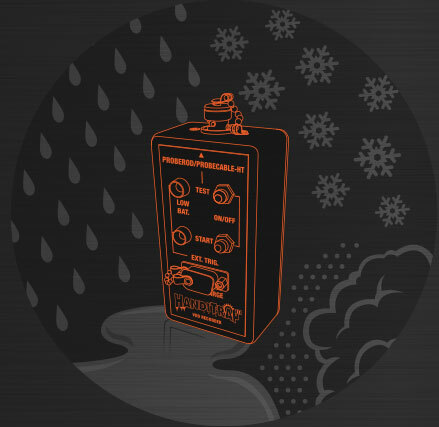 The HandiTrap II™ VOD Recorder has been designed to perform flawlessly in all weather conditions that are expected in a mining environment around the world. This unit has been designed to operate between -40 to 60 °C with the unit being sealed to prevent the infiltration of snow, rain, dust or sand. The unit has also been testing to withstand a drop of a height of 1 metre. For more information, click here. Multiple HandiTrap II™ VOD Recorder can be used to measure blastholes that are designed to function simultaneously. 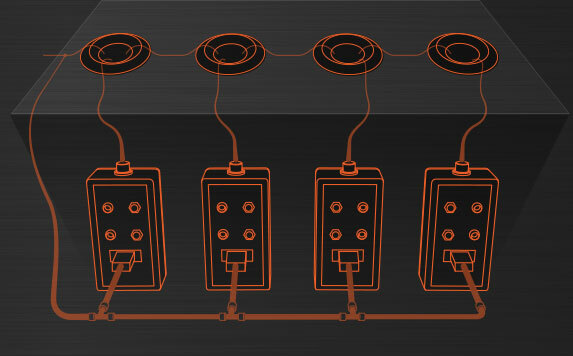 Using the external trigger feature of the HandiTrap II™ VOD Recorder, multiple units can be synchronized to monitor each event independently with a VOD trace for each hole on a common timeline.